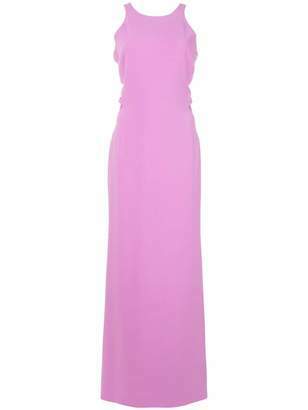 Halston Heritage evening gown in silk faille. Approx. 63"L from shoulder to hem. V neckline. Cap sleeves. Fitted bodice. 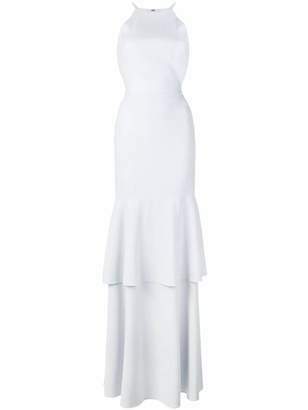 Full, A-line skirt. Hidden back zip. Floor sweeping hem. Acetate/nylon/spandex. Dry clean. Imported.